Rolling out of the factory in mid-March 1944, this Fort was at Rattlesden in time to fly its first mission on 29th May, to Leipzig. 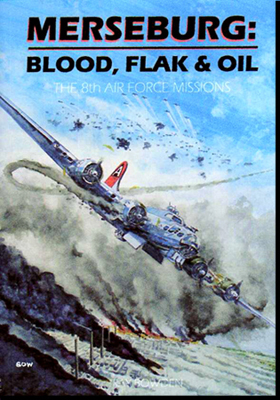 It would complete 74 sorties before tragedy struck. In dense fog, on New Year's Day 1945, "Sarah Gray" headed down the runway for the last time. In the dank and humid conditions, the heavily laden Fort stalled out as it lifted off and crashed into the ground a mere 400 yards from the main runway. There were no survivors from Lt Sill's crew -- it was his first sortie in the plane, the regular crew being that of Lt Hewitt. They had completed 15 of their missions in the Fortress. 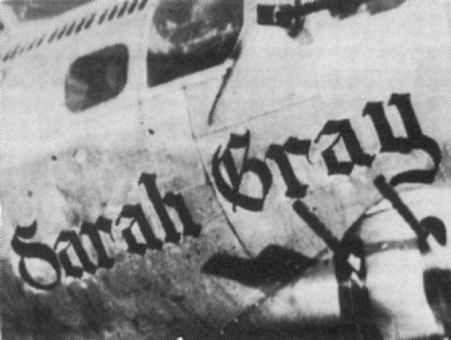 Once again, it is not yet known who named the plane "Sarah Gray" or when it was painted, or who Sarah Gray was. If anyone has this information I would be delighted to learn of it. 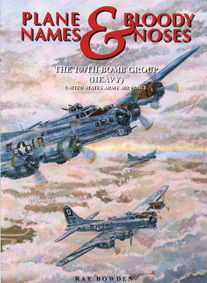 The only known photograph of the nose art shows Old English style script and no image. Given Nick Fingelly's considerable talent it seems likely that it may also have included a portrait or figure study but there is no evidence of this. 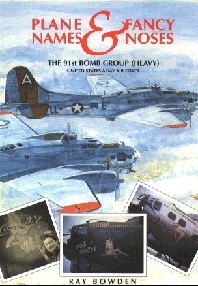 The B17 was assigned to Lt Gormly's crew for 22 of its missions which included raids on Berlin, Bremen, Munich and Merseburg. 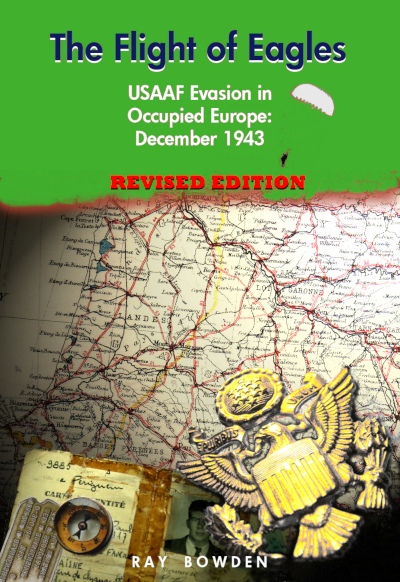 On one occasion, 11th July 44, "Sarah Gray" led the high group of 4th "B" combat wing with Lt G Miller in command. No other lead roles have been recorded and details of its battle damage are, as yet, unknown.